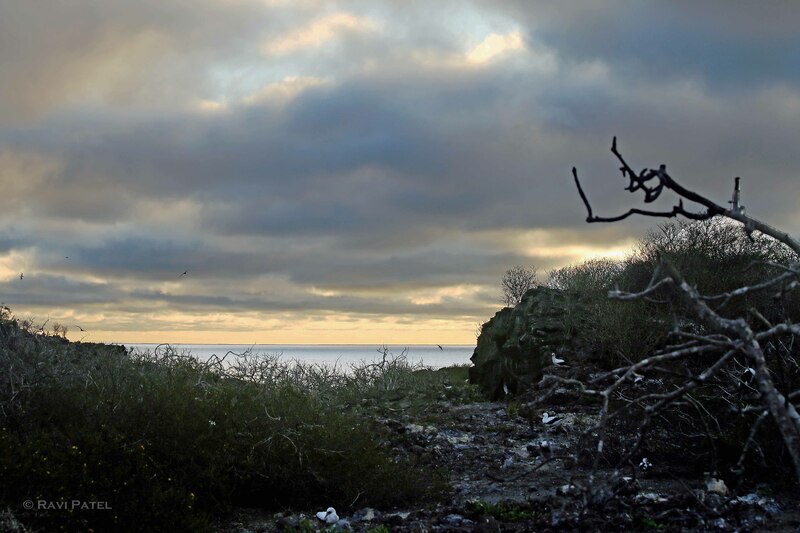 Sunset in Galapagos with the birds calling it a day. A fond farewell with some wonderful images and lots of memories. Looks like a stare down. Who will blink first? 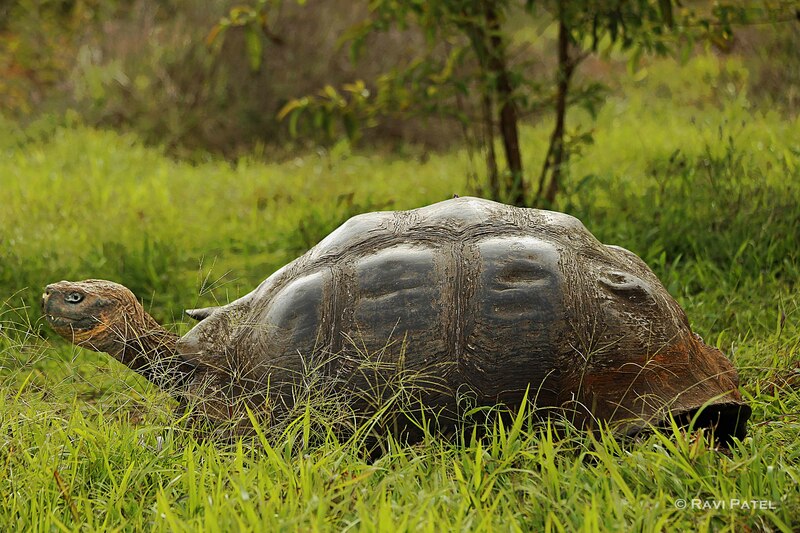 The Galápagos tortoise or Galápagos giant tortoise is the largest living species of tortoise and 13th-heaviest living reptile, reaching weights of over 400 kg (880 lb.) and lengths of over 1.8 meters (5.9 ft). 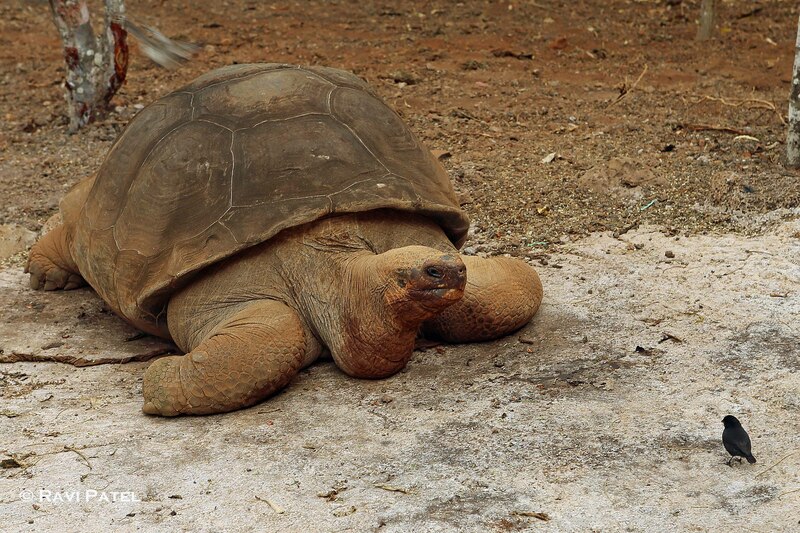 With life spans in the wild of over 100 years, it is one of the longest-lived vertebrates. If you enlarge this image, the designs on the shell are interesting. 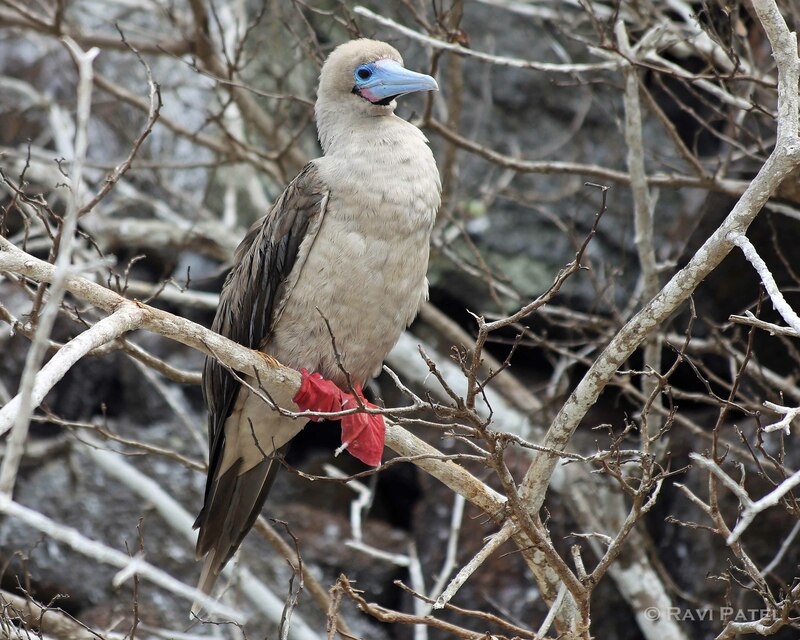 The brown morph of the red-footed booby is overall brown. The white-tailed brown morph is similar, but has a white belly, rump, and tail. The white-headed and white-tailed brown morph has a mostly white body, tail and head, and brown wings and back. 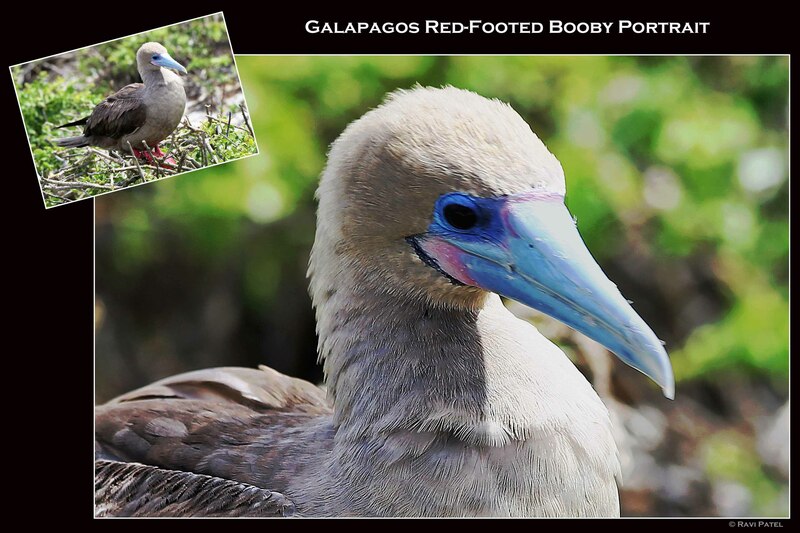 The red-footed booby has several morphs. In the white morph the plumage is mostly white (the head often tinged yellowish) and the flight feathers are black. Smallest of the boobies, the red-foot feeds at sea, nests on the ground, and perches in coastal trees. Red-footed boobies appear in a variety of color morphs but, of course, all have feet of the distinctive red color which gives them their name. 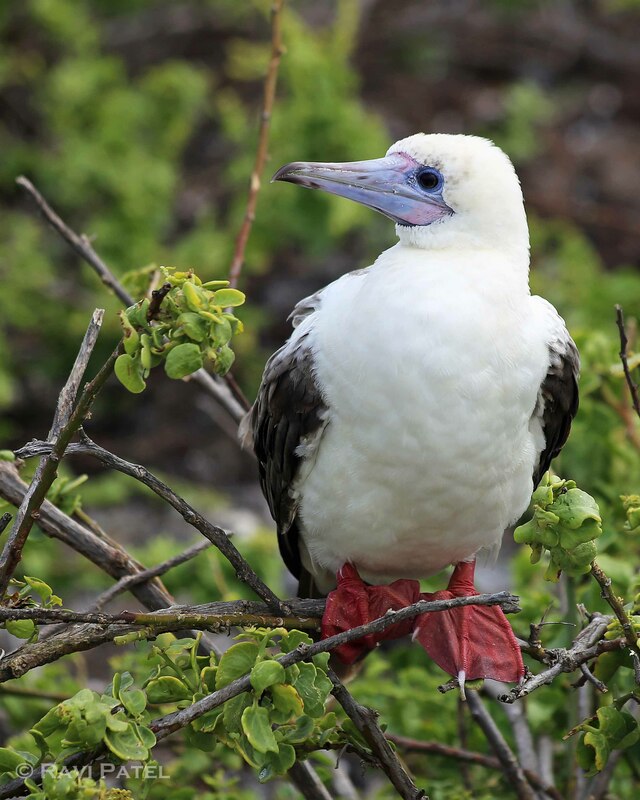 Nazca Booby Birds are the largest of all the boobie birds on the Galapagos Islands. 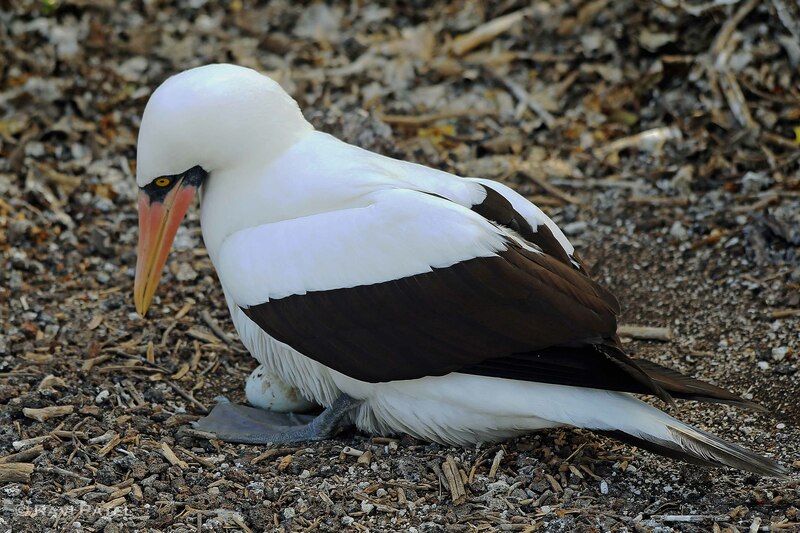 Nazca Booby Birds lay two eggs, several days apart from which only one chick survives due to a practice called ‘obligatory sibling murdering’. In this process, one of the chicks displaces the other by taking most of the food, therefore growing faster. Once that has been achieved, the larger chick kicks the smallest and weakest chick out of the nest, leaving it to die of thirst or cold. 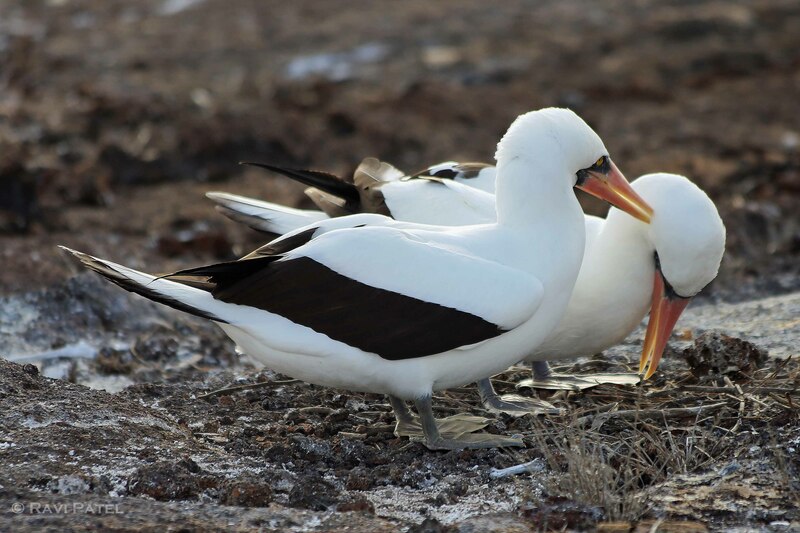 The parent Nazca Booby Birds will not intervene and the younger chick will inevitably die.